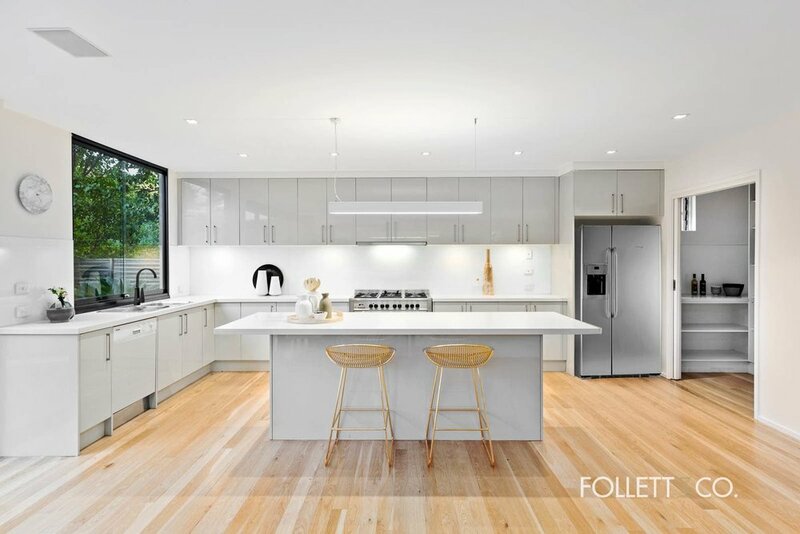 Home building Home renovation What tradies do I need for my kitchen reno? What tradies do I need for my kitchen reno? It’s no wonder that the kitchen is easily a favourite space in the house, and for many, it’s the heart of the home. It’s where you eat, cook, socialise and most importantly – drink your morning coffee. Whether you’re looking to update a few minor aspects of your kitchen or do a complete revamp, it can be difficult to know exactly what trades you need to hire. A complete kitchen renovation requires a whole host of tradespeople. Here are our top tips for hiring different trades for your kitchen reno. A builder is a particularly important tradie if you’re undertaking any major structural modifications, such as reconfiguring or extending the kitchen, which usually involves the knocking out of walls and other labour intensive activities. Many building companies possess multiple trade licences to carry out every aspect of your renovation: from design to completion. However, other businesses may only be able to undertake the building and installation aspect of your kitchen renovation. Work out your exact needs and find a licensed builder. Before signing the contract, check the builder’s home building license on the Fair Trading website in your state to make sure they have the right qualifications for the job. Discuss specific stages of the renovation process to clarify what they can handle and what they can’t. If there are services they don’t offer (e.g. flooring or tiling), can they recommend another business? Any job over $5000 should have a written contract in place by law, including the total cost and any costs that can be subject to change. Check the business possesses the relevant insurance if anything should go awry. Relying on a business to handle your whole renovation can be risky and you want to be assured they’ll complete a quality job. Ask friends and family for recommendations, or alternatively, seek out reviews online. An electrician is an essential tradie for a kitchen reno. Electricians not only install and wire up lighting and power points, but they also assist you in developing a lighting plan to showcase the new kitchen, as well as ensuring the kitchen is well-lit for practicality. When it comes to electrical tasks such as wiring or repairs, by law, a licensed electrician is the only person permitted to undertake the work. Request a written estimate and an expected timeframe for the work. Discuss the project permits with your electrician. In many cases, the local council or building department needs to issue a permit, especially for large scale electrical projects. Installing the dishwasher, stove or some refrigerators. Connecting and installing a sink and hot water system. Extending/connecting the gasline, and an electrician to check the oven circuit. Plumbing work is associated with risks, so it’s important to hire a plumber that’s insured. It’s also just as important, if not more, to ensure your plumber is qualified and licensed to get the job done right the first time. The construction and installation of new kitchen cabinets adds to both functionality and aesthetics of your new kitchen. Find a cabinet maker who will be able to give you advice on the cabinet layout and design based on your needs and wants. Tiles don’t just belong on the floor – they can also go on the splashback or even benchtops. A professional tiler will be able to efficiently remove any old tiles and install new ones for you. Whether you’re comfortable sourcing your own tiles or not, tiling experts are always happy to give their opinion based on their extensive experience. While it may seem like flooring doesn’t impact the look and feel of a space, it can have an influence on how modern or dated it appears, and it needs to complement other design aspects of the kitchen. Find a flooring expert to advise you on what materials to use, the style that will best suit the space and your budget, and to lay the new floor. While these represent the essential experts required for a kitchen reno, there are other services that are optional. Like painting, window installation, a ventilation professional, an interior designer or architect. Any renovation can be confusing and stressful to plan alone. Find a kitchen renovation expert to help plan out the process for you – most reno businesses are able to help you every step of the way, from start to completion. Materials for: flooring, cupboard doors, handles, benchtops and the splashback. Theming or styles you like. While you may think a kitchen exists just for cooking and cleaning dishes, it can actually elevate the whole design and atmosphere of your home. Whether you’re looking to update a couple of things in your kitchen or completely overhaul the space, the process is always smoother when you have reliable trades on hand. Jenny Cheng is the content writer at Oneflare, Australia’s fastest growing online marketplace connecting consumers with professionals within the home improvement and services categories. She loves to bring creativity and refreshing ideas into her pieces - from health and fitness to advice on home design.